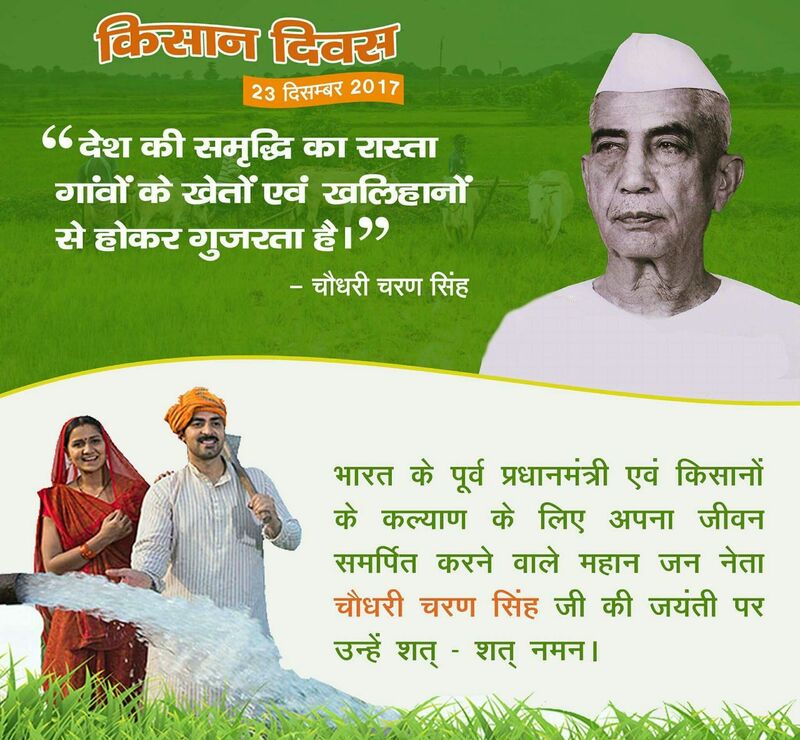 Kisan Diwas (Farmer's Day) is observed every year on 23 December to celebrate the birth anniversary of the fifth prime minister of India Chaudhary Charan Singh. He was the PM of India for a very short tenure starting from 28th of July 1979 until 14th January 1980. A kisan leader, Late Chaudhary Charan Singh belonged to a peasant family. This was the reason he could relate himself with the issues of the farmers and therefore, he did the best to support them. When he became the Prime Minister of India in July 1979 he made many changes to improve the lives of the farmers. The Zamindari Abolition Act was also introduced and enforced by him. He was an avid writer too and wrote down his thoughts on farmers and problems related to them along with the solutions. Chaudhary Charan Singh died on 29 May 1987. 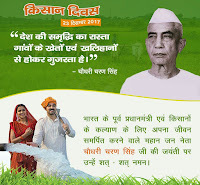 National Farmer’s Day is celebrated every year in all states and especially in those states which are actively engaged in farming and cultivation such as Uttar Pradesh, Punjab, Haryana, Madhya Pradesh and others.